This post is sponsored by Lenox. 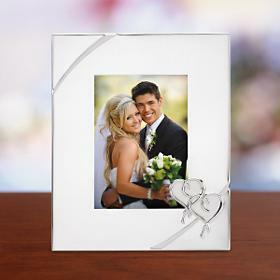 Show your affection for your significant other by displaying a photo of the two of you in this silver-plated Lenox True Love Frame. Interlocking hearts at one corner of the frame’s opening are a romantic touch. The frame holds a 5” x 7” photo and is available at Lenox.com. For the romantic at heart, this great frame is not only packed with love and endearment, but will accentuate the love of the couple framed within. It’s great as a gift or to buy for your own cherished photos! For more information about Lenox, visit their Facebook page or follow them on Twitter: @Lenox_Corp!